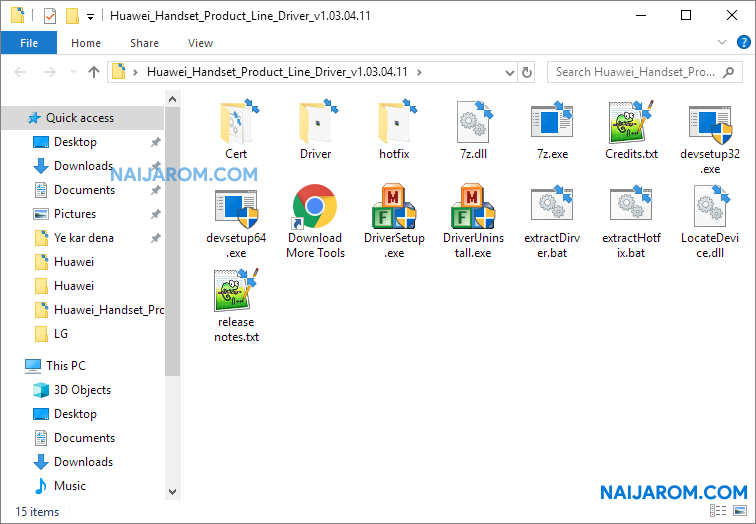 Huawei Handset Product Line Driver v1.03.04.11 is a small application for windows computer which allows you to install the Huawei driver on your Windows Computer. It automatically installs the correct required driver as per the need of the Windows Computer. It is mainly used to establish a connection between Huawei device and the computer. In order to transfer any file from your Huawei device to another device, Huawei Handset Windriver v1.02.03 will get your job done in few seconds only. It also allows you to use flash tool on your PC in order to flash your Huawei device. Huawei Handset Windriver v1.02.03 supports all types of Huawei devices i.e. Smartphones, Feature phones and Tablets. Since, it is a open source tool, You may use it free for always.